The Fort Knox community in Kentucky has a thriving environment for military personnel and their families and is considered the sixth largest urban center in the state with a moderate weather climate. Join others who have found the Fort Knox area to be a great place to live due to schools and many different programs for military families. Douglas Clinkenbeard has retired from the military after 20 years of service and has now been a professional real estate agent for the last 16 years helping with military relocation to Fort Knox and the surrounding area. He and his team have an intimate knowledge of your needs and struggles as a military family and work diligently to make sure your relocation goes as smoothly as possible. 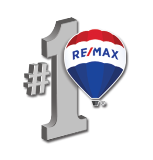 As you serve us, we’d be honored to serve you with your real estate needs. Relocating to Fort Knox will result in your children being placed in any one of the four elementary schools, two intermediate schools, one middle school and one high school. Given that Fort Knox has a huge military presence, our schools are better structured and our teachers trained to spend quality teaching time with students individually to ensure they excel in the education process. Fort Knox also has special needs facilities and services available such as child care programs, half-day periods and adult education classes. There are also vocational and community college programs in the area making Fort Knox a well rounded educational hub. Anyone can search for Fort Knox properties through our website or countless others. However, once you’ve found a few homes you are interested in its going to be a better experience to work with a team that has been serving the community and all of its diversity from military relocation to first time home owners to retirees for over a dozen years. The Clinkenbeard Team knows the ins and outs of buying a new home, selling your property and relocating to the Fort Knox area. Over the years we have worked with countless other families and military personnel just like you to make the real estate process a good one and we invite you to search Fort Knox real estate through our website but then do contact us to schedule showings, get additional information on the area or homes and a wide array of solutions at your disposal.